Enter via a half glazed solid wooden door with a stained glass design and glass panels either side giving natural light into the vestibule. Doors lead off to the downstairs bedroom, storage cupboard and into the hallway. 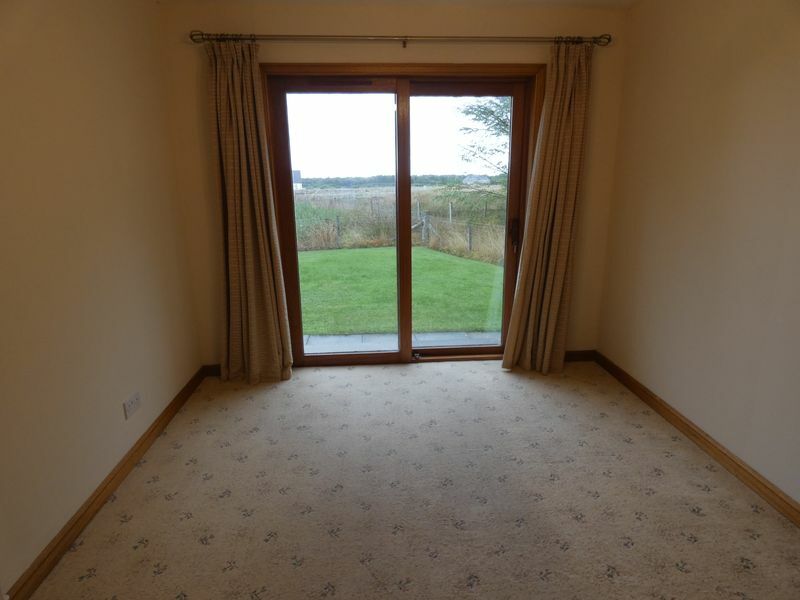 The downstairs bedroom is carpeted and has a large window overlooking the front of the property. There is a spacious storage cupboard that could be a small dressing room or possibly converted into an en-suite. 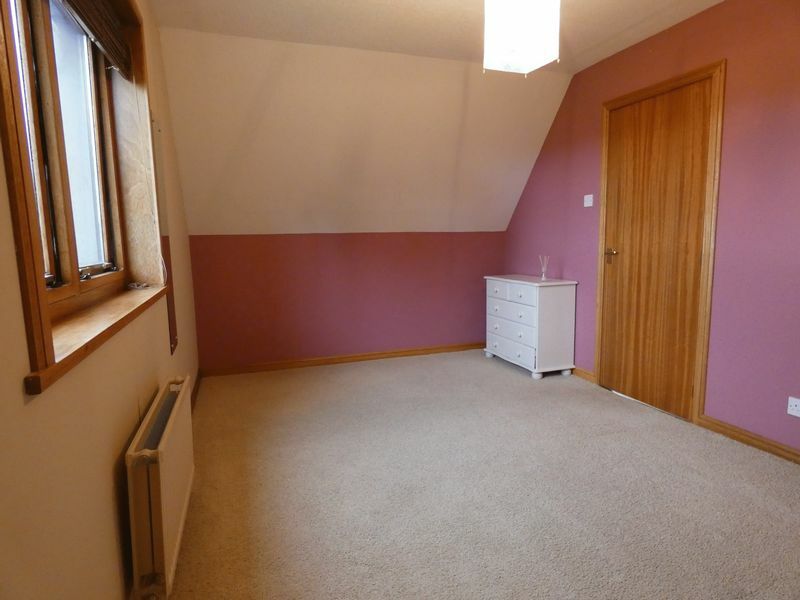 There is space for a double bed, bedside cabinets, chest of drawers and dressing table. 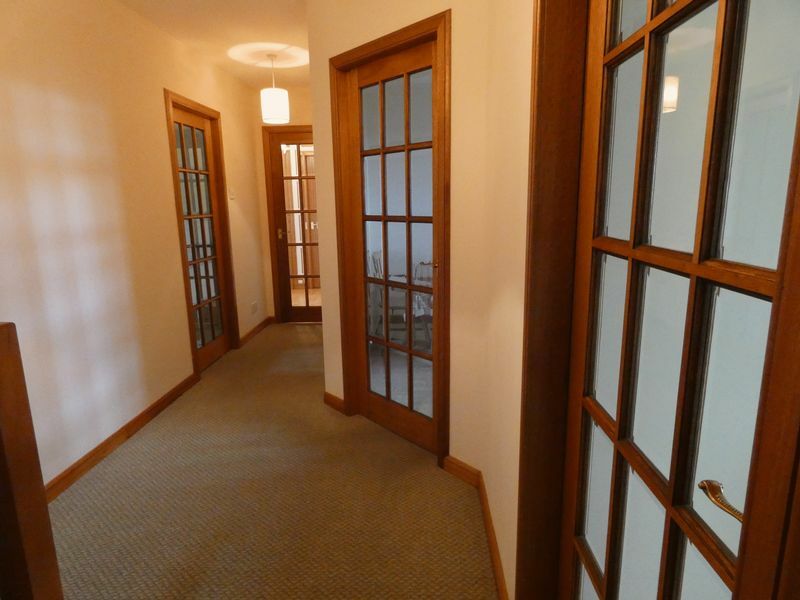 The hallway has doors giving access to the lounge, kitchen, dining room and stairs up to the first floor landing. The lounge is well proportioned, carpeted and has two large windows overlooking the front of the property. It has a coal effect gas fire set in a marble hearth and carved wooden fire surround making an attractive focal point to the room. 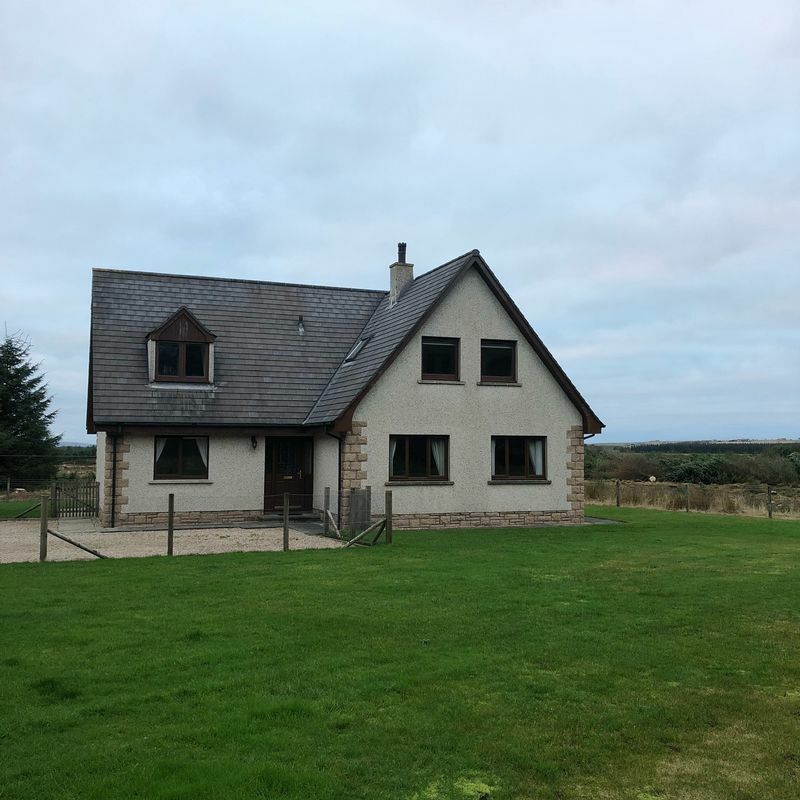 The spacious kitchen has vinyl flooring and a window overlooking the rear of the property and countryside beyond over to the Pentland Firth and Hoy, giving plenty of light to the room. 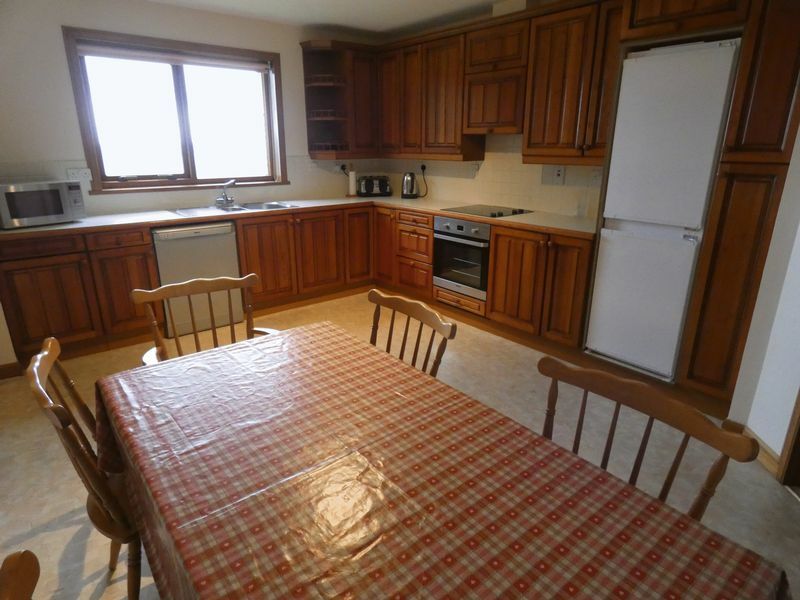 There are pine floor and wall units with tiled splash backs, integrated cooker extractor fan, electric hob and oven. Included in the sale are a freestanding fridge freezer and dishwasher. There is space for a table and seating for at least 6 people. From the kitchen is a door leading to a utility room housing sink, floor and wall fitted cupboards with a large built in cupboard ideal for a pantry. A double glazed window and a solid wooden back door overlook the rear of the property. Another door from the utility room leads into a small washroom with a toilet and hand basin. 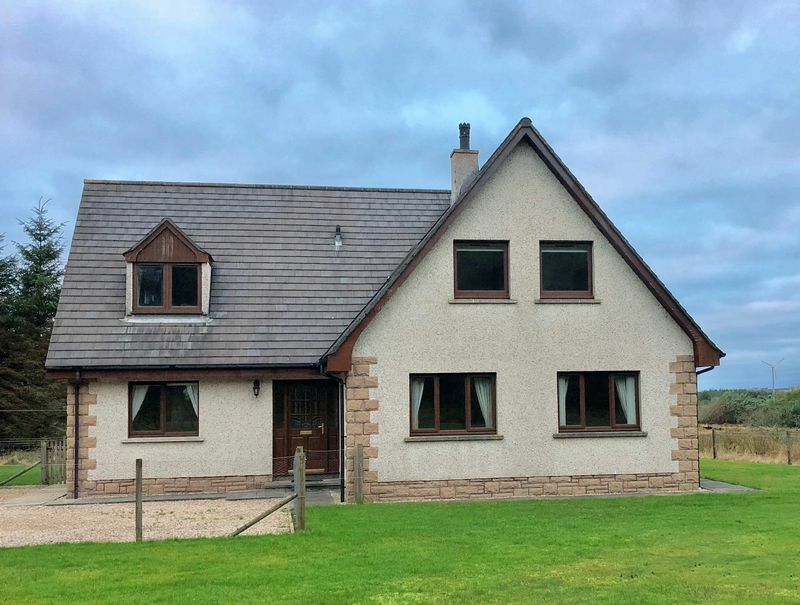 The well-proportioned dining room is next door to the kitchen and has double patio doors overlooking the garden and countryside views beyond. 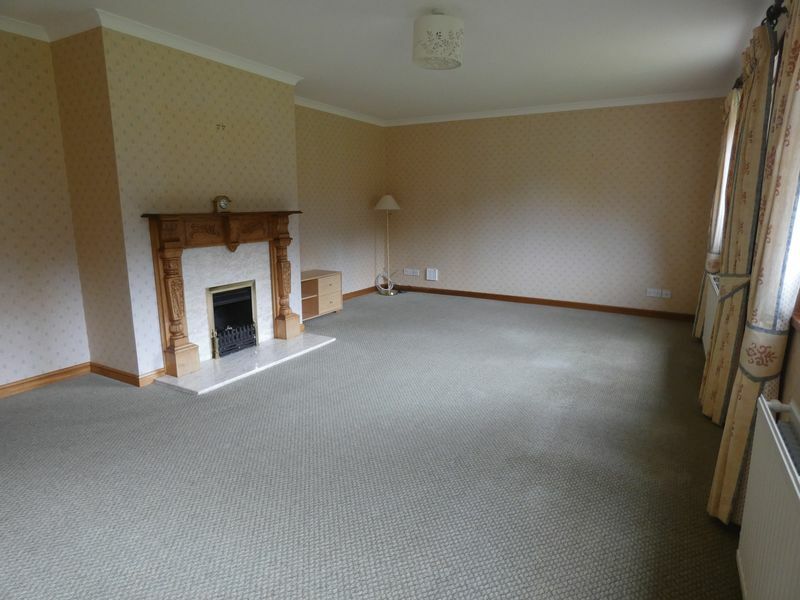 The room is fully carpeted and has space for a sideboard, table and at least seating for 6 people. It is a light, neutrally decorated. The carpeted staircase lit by a large window leads to a first floor landing and hallway with doors to the family bathroom and 3 bedrooms. The large master bedroom is carpeted and has a built-in wardrobe and a window overlooking the front of the property and countryside. 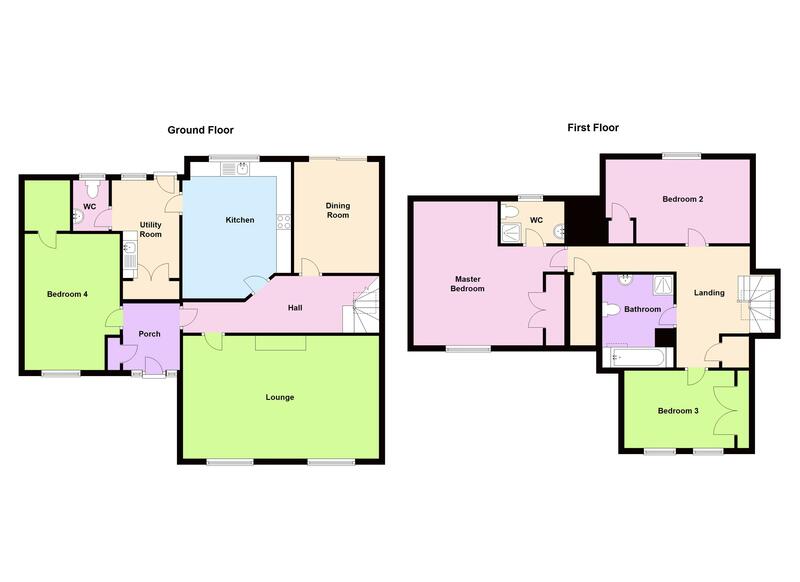 There is space for a double bed, bedside tables, chest of drawers and dressing table. 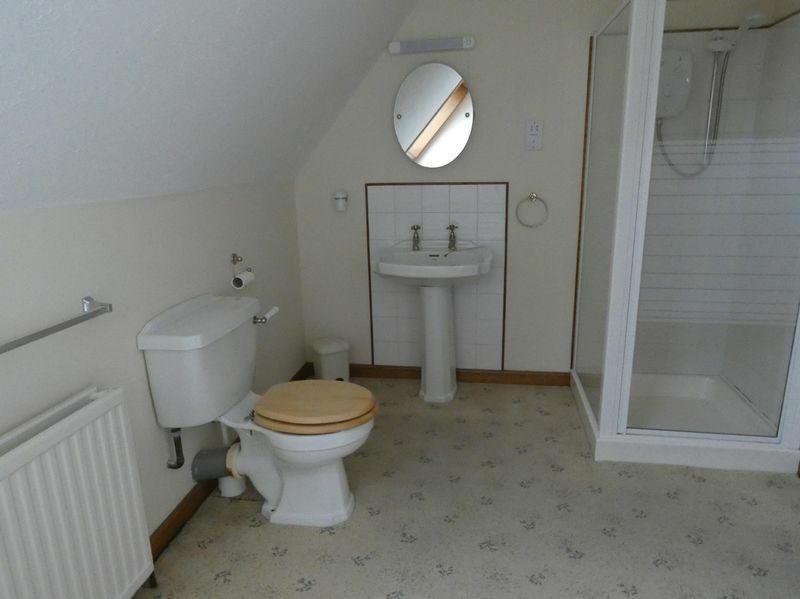 A door leads into the en-suite that has a single shower cubicle with an electric Mira Jump shower, a light beige toilet and hand basin with a shaver socket. A frosted, double glazed window give light and ventilation to the room. 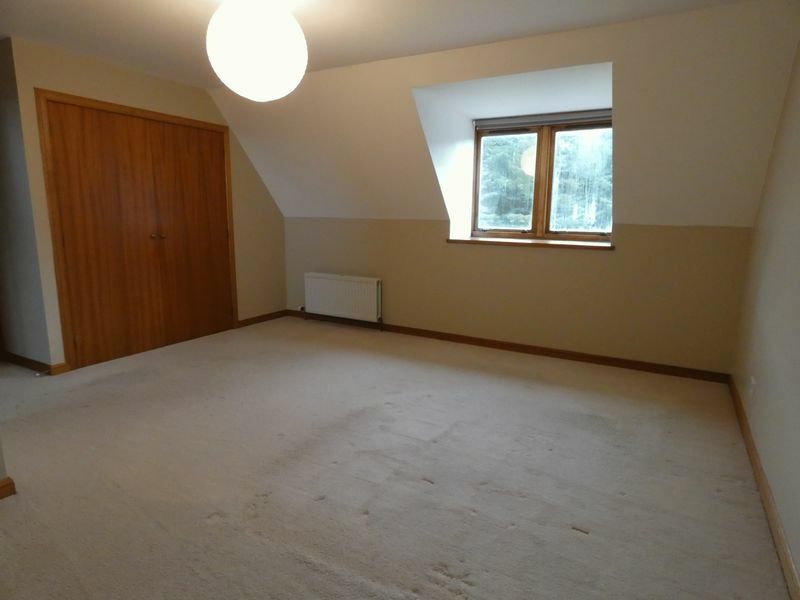 Bedroom 2 is carpeted and has a window overlooking the rear garden. It is a light and airy room with space for a double bed, side table and free standing wardrobe. 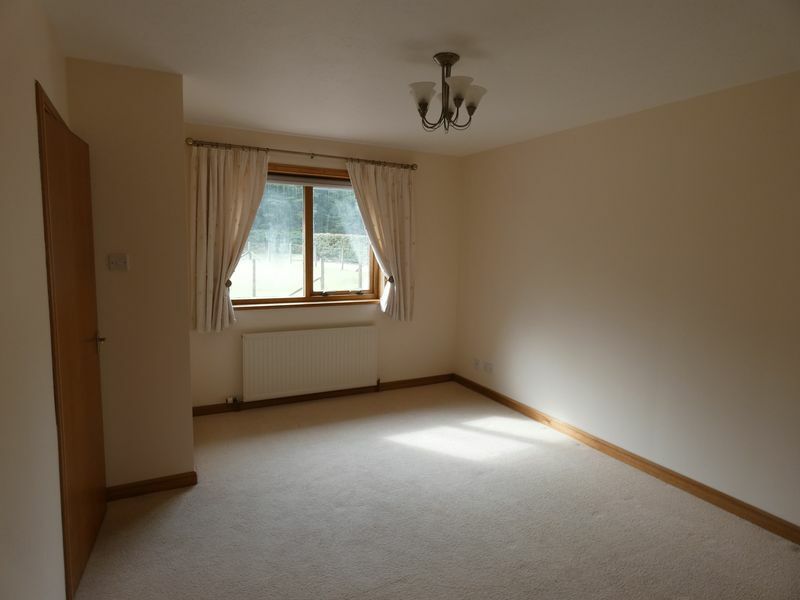 Bedroom 3 is carpeted and has 2 windows overlooking the front of the property flooding it with natural light. A large built-in wardroom stretched along the width of the room. It has space for a double bed, 2 bedside tables and a chest of drawers. 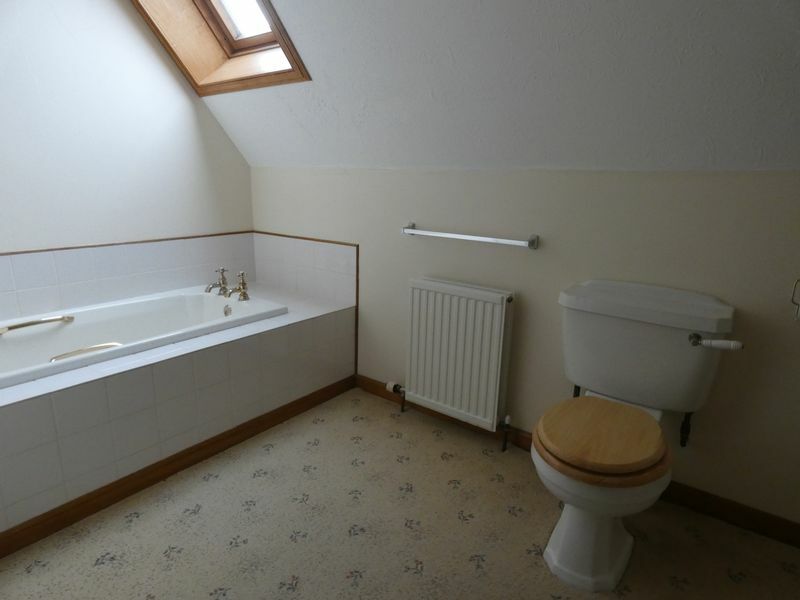 The spacious family bathroom is carpeted and neutrally decorated with a Velux window that give ventilation and natural light. There is a white pedestal hand basin, toilet, bath, single shower cubicle with a Triton Jade electric shower. Also, there is a shaver point, over hand basin lighting and white tiled splash backs. Outside is a wrap around garden that is laid to lawn and is easily maintainable. A sweeping driveway from the main road ends at a parking area at the front of the house. 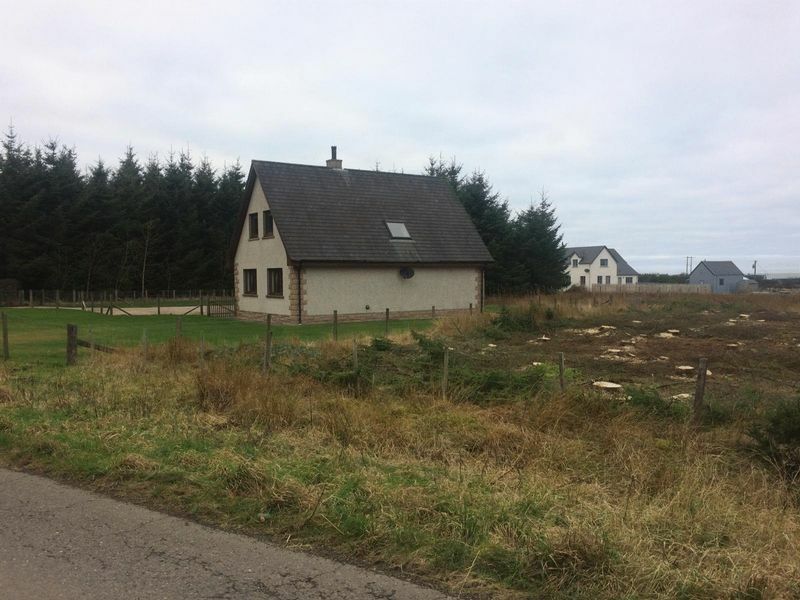 The property has oil fired central heating and a gas bottle fed coal effect gas fire in the lounge. Council tax banding is E.
All carpets, curtains and blinds are included in the sale. Viewing highly recommended.